It doesn’t matter if you’re FOR THE ALLIANCE or FOR THE HORDE as the season of goodwill and merriment is here! The year is coming to a close, the decorations are up, and presents sit under the trees of Ironforge and Orgrimmar. In the spirit of this festive season, I’d like to thank you all for being part of the World of Warcraft. The boundless passion, dedication, energy, and creativity continues to inspire and humble us every year. Outside of Azeroth, many of us are preparing to spend some precious quality time with friends, family and loved ones. That being said, Azeroth will still be there throughout the festive season, and our amazing Game Master team will be right there with you. 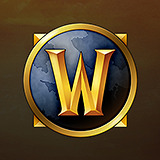 Should you have need to contact them during your adventures, you can reach out to them using the Blizzard Support site. Our support teams will also be assisting with moderating and monitoring the forums over the festive period. There’s plenty more World of Warcraft to come in 2019, and we can’t wait to share this journey with you. From the Battle of Dazar’alor, Rise of Azshara, and the chance to go back to World of Warcraft Classic, there’s plenty to look forward too! From all of us here at Blizzard Entertainment: Have a very merry Winter Veil and a wonderful new year!